Getting Started in Model Ship Building? Parts included for the Corel plank-on-bulkhead kit "Ranger." 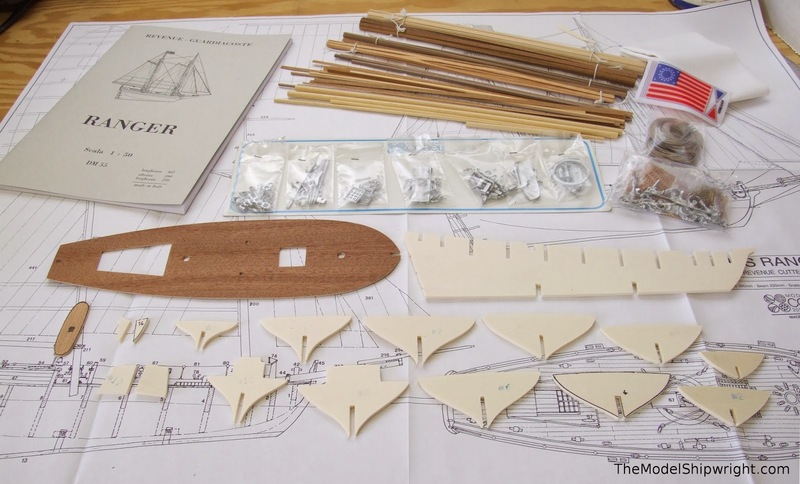 For the beginning ship modeler, scratch-building a ship model from a plan can be a daunting challenge. A better option for a first project in most cases is to pick from the vast array of ship model kits available today. There are a number of international, and a few U.S. ship model kit manufacturers, and they are constantly coming out with new offerings that set a ship modeler’s mind racing with possibilities. But, while model ship kit manufacturers are constantly introducing new kits, and adding more detailed models to their lineup, all model ship kits fall into three basic categories, based on hull construction technique: Solid hull; Plank-on-bulkhead; and Plank-on-frame.